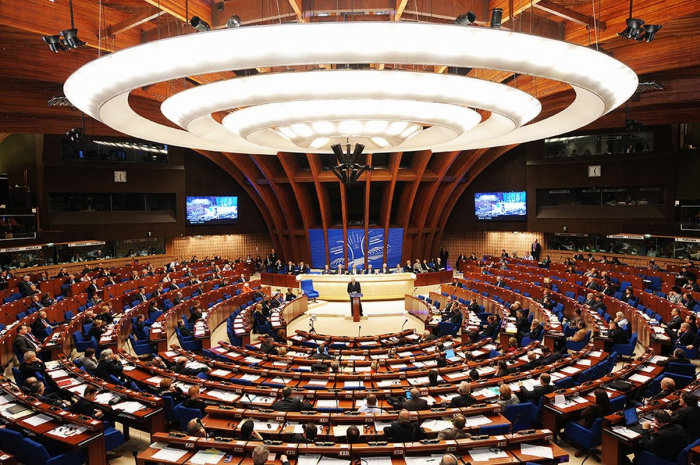 Russia has no plans to return to the Parliamentary Assembly of the Council of Europe (PACE) next year, Secretary General of the Council of Europe Thorbjorn Jagland said. Questioned about the chances of a Russian delegation returning to PACE next January, Jagland said it was unlikely, which would mean no Russian PACE participation for the whole of 2019. This in turn would mean no Russian budget payments, and the Secretary General said it was his responsibility to take this into account in formulating the next budget. Earlier, the Secretary General of the Council of Europe said that the organization's Committee of Ministers will have to expel Russia from the Council of Europe if the country does not make monetary contributions before June 2019. Chairman of the Russian State Duma's International Affairs Committee Leonid Slutsky, in turn, said that Russia should think about freezing its membership in the Council of Europe, without waiting for expulsion. The PACE budget deficit widened to $18 million euro. The senior research fellow at the European Research Centre of the International Relations Institute of the Russian Academy of Sciences, Vladimir Olenchenko, speaking with a correspondent of Vestnik Kavkaza, noted that if Jagland is raising the issue of excluding Russia from the Council of Europe, then Moscow could take the first step on this path. "But it does not mean that Russia is withdrawing from all contacts with Europe - the CE in its current form does not suit us, because it does not give us full membership. The movement should be in the direction of normal practice in the CE and, accordingly, the countries that are its members did not want to quit or exclude others. Our withdrawal would be a reproach to this organization that its practice does not lead to consolidation, causing a fragmentation of countries," he explained. "If this does not change, the Council of Europe will lose the meaning, because of which we joined it. Russia wanted to fully participate in the consideration of European affairs. If the organization does not create such conditions, then it's not for us to question, but the current leadership. Therefore, I think that the leadership of the Council of Europe and its members should be encouraged to return to normal functioning. If this does not happen, then we can temporarily refrain from participating in its activities," Vladimir Olenchenko said. Director of the Institute of Strategic Planning and Forecasting, Professor Alexander Gusev, in turn, said that Russia should not leave the Council of Europe in any way. "It is clear that we were deprived of votes in PACE, after which we suspended our membership in the Parliamentary Assembly, but that was a big mistake. Withdrawing from PACE would be equal to leaving the Council of Europe as a whole, and then we would lose a lot. We shouldn’t leave, we should interact with partners, prove our case," he stressed. "Our voice, in fact, was never heard in the Council of Europe. A refuse from the membership will only continue the path of least resistance," Alexander Gusev concluded.